BIG STEAM – new Roger Miller 45 out now on Good Road Records! 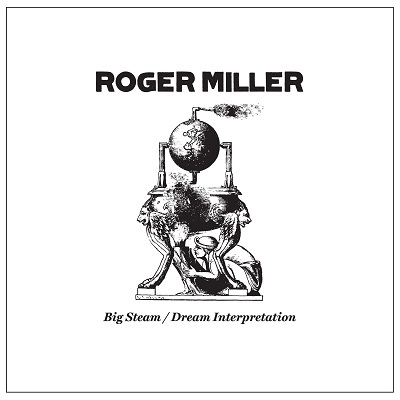 BIG STEAM b/w DREAM INTERPRETATION, Miller’s second “solo rock 45″, is now out on GOOD ROAD Records. Copies can be ordered at GOOD ROAD, and the songs can be listened to there as well. This is GOOD ROAD’s first release, but we can expect many more to come! The BIG STEAM VIDEO was posted in mid-September, 2012. Excellent recent interview w/Miller on VICE.com. This entry was posted on Saturday, September 22nd, 2012 at 2:47 pm	and posted in Uncategorized. You can follow any responses to this entry through the RSS 2.0 feed. Brian mailed me mine with a note saying that it was the first ones sold, Glad to have it, the tracks are phenominal, the video is a trip and a half (Music videos… in 2012… who knew!). Great stuff Rog.